Moments eek by and I count them. They drop one by one, sometimes slow and others in a flow that leaves me dizzy with the passing. Some stolen and broken with their remembering. Some ripple on the wind and I barely see the waves they make. Seeds sown as echoes from former remnants, images of stones and soil, plants needing water, staking and sun. Moments tempt me to spend more time looking rather than living. Stories build up that should have been written, and it is sometimes easier to let the ‘should be’ or ‘ought to do’ lists get in the way of our grace counters. This past week I spent days resting and recovering from a virus that was strong enough to bring me to a stop. I don’t do sick with grace. Too much to do tends to let guilt pile up when rest is required. Those times when I am feeling physically low, I find it is easy to give in to the emotional walls that have been building through the busy of life. Grace seems a distant friend. Only complete exhaustion brings me to that place where rest is rejuvenating, and sometimes I wonder if the Lord allows it to make me pause on the journey so I can drink deep of the truths I have failed to hear fully previously. I have been wrestling with regret lately a little more than I would like to admit. I find that there are seasons that I revisit failure because I find myself lost in comparing what I see and what God sees. I don’t always like what I see, but thankfully He sees the bigger picture. I am often bound by regret but God asks us to look a little closer at the seeds we sow, the soil we tend and the shadows that regret throws our way which are not His plan. The shadow of truth does not determine the ultimate outcome in our lives… Regret is like an echo of our memories that sheds light only on the failure instead of the possible promises that still exist. Regret tends to have an upper hand when our vision is clouded by what we thought the outcome should have been. It threatens to steal the moments that could be, highlighting the wilting space, the untouched possibility, and untended broken we leave to weather and rot. These shadows of truth are dishonest because memory doesn’t always reveal everything. Our stolen moments are sometimes skewed by our lack of faith and our perception is tainted by unbelief. Once entertained, we start to let the broken pieces take the joy out of the good that actually did occur; we declare the moment a failure rather than see the potential He sees. When this unwelcome guest barged in around my table, though not invited it made space for itself. A little strong-willed and rude, this visitor has shaken a few moments where grace has been absent. Regret moved in and grace took a vacation and I let memories encourage feelings of failure rather than see the life lessons sown in the rocky places that still produced blessing. Sometimes when we have a passion so strong, a love so deep, it is easy to miss the things that point to grace rather than failure. But we never really fail when we journey to grace in our faith walk because we are heading to the finish line that has already promised victory. Our rocky places, wayside stirrings, and thorny moments can still produce a harvest for faith seeds. 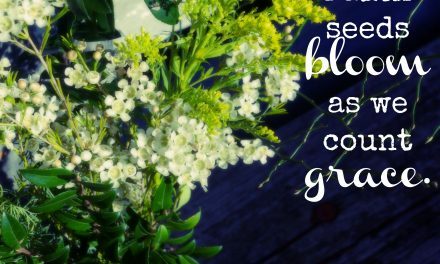 Settling into a slower schedule this week in order to find a bit more grace in my days, I ran into some red letter words from the Grace Giver Himself in Matthew 13. The Parable of the Sower reminded me of 2 scenarios on our journey: the possible productivity of seed sown in good soil and the probable lack of seed sown on the various places we visit. The skill is being able to see the outcome is wholly dependent upon the seed and not the sower. Failure doesn’t have to touch our harvest if we don’t let it. Inevitably, there are going to be spaces in our lives where we lack a harvest or we have uncultivated fertile soil. We will have places where we need His presence to resonate, to build, and to cultivate, where our hearts need to be tended and our vision needs to be expanded. Some hills that we sow into will be barren. Some furrows that we rake will not be productive. Some plots will become more weed covered than anything else.But that doesn’t exactly equate to failure. But what if the fruit comes from the working and the sanctifying produces seeds even in the most unpromising soil? I realized that I actually nurture regret when I chose to look at the unfinished outcome. When I see the soil is full of rocks and the shallow trenches easily give up the seeds scattered by the elements of nature, I weight the evidence and made an assumption. The seed may be scattered, not producing yet, but there was a variable that I didn’t quite account for. The key word here was, YET… and the variable is the quality of the seed. I was encouraged to look a little deeper for the faith-nuggets to quench the arrows of unbelief aimed at my heart. Even though the seed that fell upon the other soil, the stony, thorny, and unfertilized places, that doesn’t mean they were empty of promise. 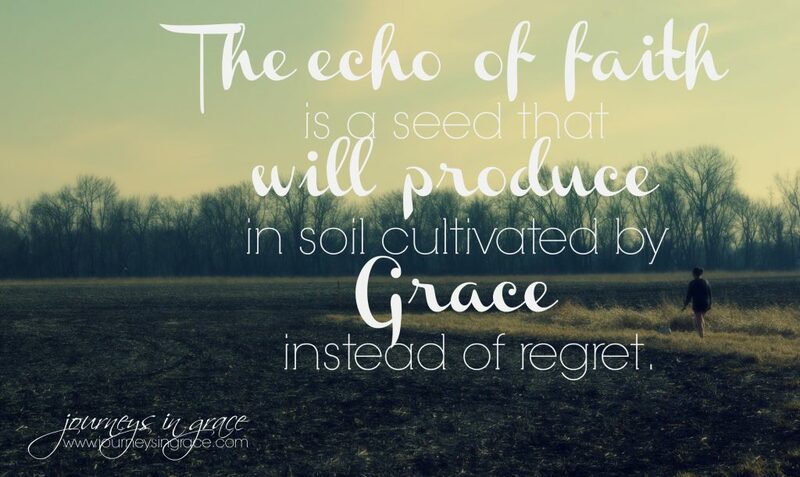 Because the seeds were destined to produce; they were sown in faith. The seed is going to produce what it was created to grow. The SEED still held the promise. It was still active and able to produce. And the seed still had the potential to be what it was created to be. Even the rocky soil of our lives can produce a plant, a seed, a harvest. Seeds feel like the goal, the multiplication of one into many. But what if the goal is really about the waiting and the journey and the transformation that is possible through both? If the Word says that patience produces perfection in us, changing our character, then maybe we need to present ourselves with the possibility that even what feels like a failure can produce seeds that lead us to lean on God more fully which will ultimately produce positive results. What if the rocks are a part of the plan? Don’t the hard times build our souls, strengthening us, sharpening our skills, making us more alert and aware? We need not be overwhelmed by our lack, letting regret steal tomorrow’s harvest. God can, and does, take the weakness and the emptiness in us as a part of a great exchange for His strength. He can redeem what feels like locust years with abundance. He can take those moments of failure, the echoes that seem like our first fruits are meager and multiply the seeds we give back to Him through our repentance, our seeking, our releasing and bring about a harvest our storehouses can’t contain. 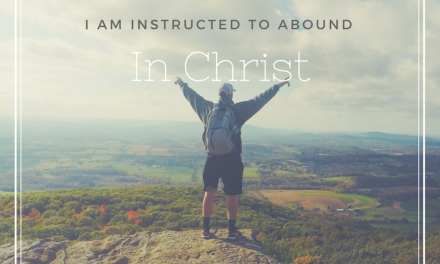 I admit I still feel a tug on my heart when I look at a few situations that don’t feel as hopeful as I’d like, but I am also excited to see Him contend with that which I am contending for. 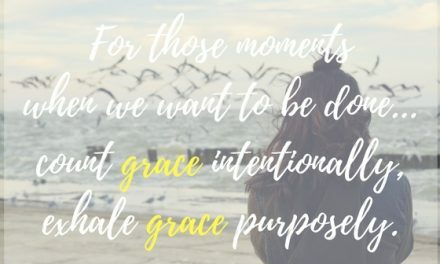 I am eager to collect grace by trusting Him to be present in the moment with me, leading me in both word and prayer to look at the barren places not so much as failures but as rest points where faith seeds are sown and an expected harvest will come. I’ve let the seed of regret be planted in my heart at times,friends, especially in the area of being a mom. But I think we need to let the echoes fall beyond our reach, into the swell of grace and the extension of His love so we can look at the promise that is still waiting to be discovered in Him. This Sunday we celebrate mothers because they give so much. I pray that those of you who may be struggling with feeling like you have failed, like the first fruits have been lost, and perhaps like you want a redo will be encouraged that He isn’t finished with us as daughters or as mothers. Is 54 is a reminder of what God does in our barren places when we show up, we trust, and we have faith. God will work it out for our good and His Glory and we’ll be able to look back and see the beauty even the rocky places created in our harvest. ~Happy Mother’s Day! When the echo of yesterday’s regret threatens to steal the first fruit of tomorrow’s harvest, can I encourage you to sow some seeds of faith in the soil of grace and let God tend your heart as you rest in Him? Beautifully written, Dawn. I love your vivid word choices and illustrations. This was the part that stuck out to me the most, “Regret tends to have an upper hand when our vision is clouded by what we thought the outcome should have been. It threatens to steal the moments that could be, highlighting the wilting space, the untouched possibility, and untended broken we leave to weather and rot.” I’m learning to shift my focus off the outcome of my efforts and onto the motivation of my heart and the dedication of my energies to pursue what God has placed before me. He’s in the results business, not me. This truth has been incredibly freeing for me. It has given me a sense of purpose and direction even when I don’t exactly know where He is leading….. This really is beautiful, Dawn. I hope you’re feeling better. I know when I don’t feel well regrets can sneak in and rob me of what little joy I’m trying to embrace in the moment. But you’re right . . . we can’t let regrets rob us of the future God has prepared for us. Blessings and thank you for this beautiful inspiration this morning!